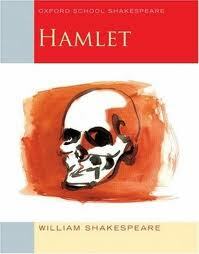 In the past, I had viewed Shakespeare’s works with disinterest, bordering on distaste. Then, I Stumbled upon (literally – using the StumbleUpon toolbar) the Royal Shakespeare Company’s performance of Hamlet, starring David Tennant and Patrick Stewart. Since I adore Tennant as Doctor Who and recognized Stewart from Star Trek, I decided to give the film a try. The following three hours were pure transport; I fell in love. The depth of emotion portrayed and the connection I felt with the characters was completely unexpected. There are not many works of literature that I approach from the movie end, but in some cases, an affective film portrayal is the perfect inspiration to dive into gnarly or otherwise off-putting writings. After watching the film version twice, I was more than ready to read the work for myself. I very much enjoyed it, however I spent a lot of time reading the margin notes in order to understand the difficult vocabulary. A second time, I will read less technically and focus more on the poetry, wit and wordplay, which are everywhere evident.